Be it known to all that we Cellach, King by right of Arms of the Middle Kingdom & Vukasin our Queen send greetings. We have heard much good of Bubba of Winchester, who has made himself worthy of advancement by his service wherever there is need and his skill with a bow in times of war. In recognition of these good works we are minded to make unto him an Award of Arms and bestow upon him the right to bear the arms Or, a popinjay proper and on a chief wavy azure three goblets argent. Done this 25th day of January, AS 48 by the hands of our Regents Calum and Constanza, fourth Baron and baroness of the Cleftlands, in or lands of Brendoken. 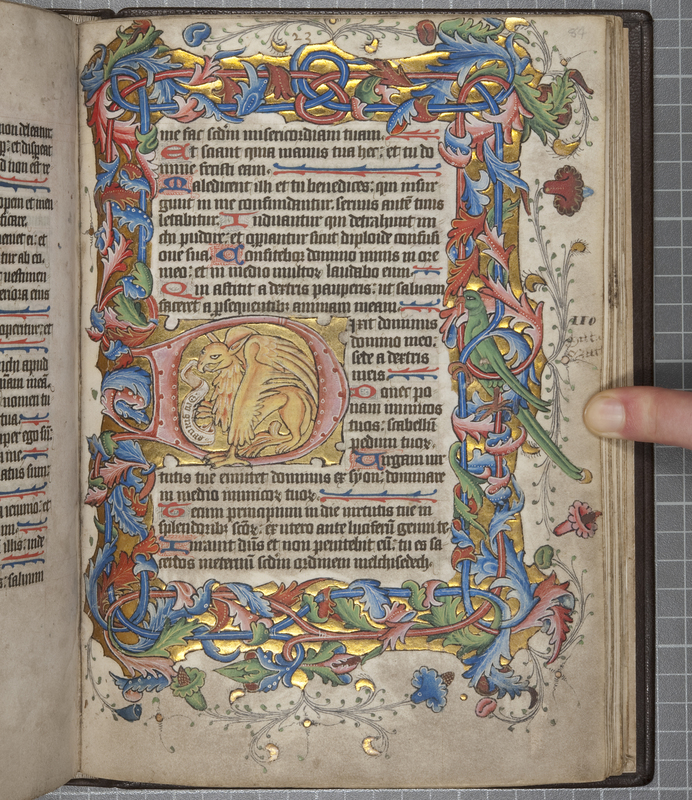 Illumination based on Leaf 84 (recto) of the St. Andrews Psalter (15th century), found via this post.